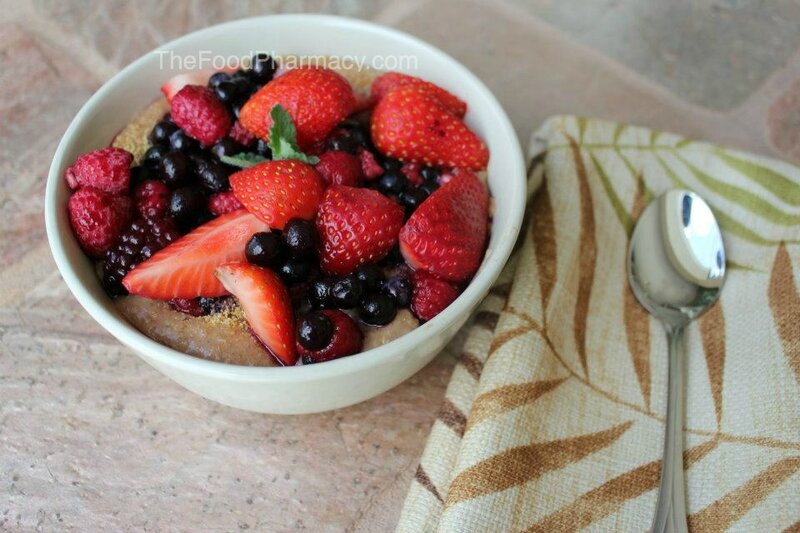 Delicious heart warming mixed grain breakfast cereal with berries on top. Place the dates and the almond milk in a blender and blend until smooth. Add the milk to saucepan, add the spices and sweetener and heat until almost to a boil. Add the grains, stir and cover. Cook on medium-low for 25 minutes. Top with fresh berries or frozen that have been thawed.